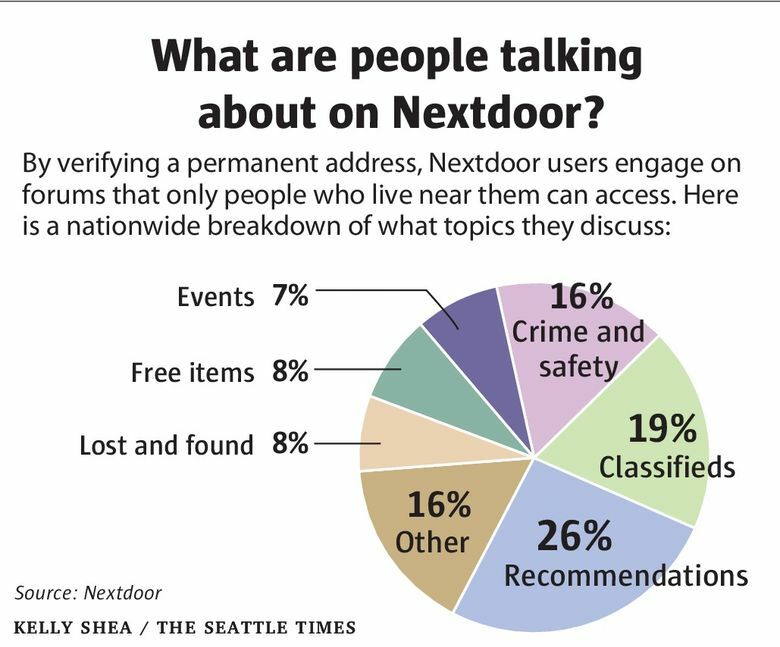 Seattle officials are re-evaluating their partnership with Nextdoor in a widespread look at how they engage with residents online. Fallout from Nextdoor.com’s first-ever town hall last month, which Seattle police Chief Kathleen O’Toole hosted, has forced city officials to reconsider how they’re networking with residents online. Mayor Ed Murray has directed members of Seattle’s information-technology department, the overseers of social-media standards for city-sponsored accounts, to review Seattle’s partnership with the San Francisco-based site and all other networking tools like it. Who in Seattle is on Nextdoor? After they verify a permanent address, Nextdoor users engage on forums that only people who live near them can access. Like public agencies nationwide, Seattle entered an unpaid partnership with Nextdoor in 2014 to post city news, about three years after the site’s start. According to Nextdoor, the site’s dedication to privacy is one of the main reasons users keep coming back — what happens in the neighborhood stays in the neighborhood — and people feel comfortable posting when only those near them can see. So when Barnett published a piece on her site with screenshots of Nextdoor users’ questions to O’Toole, Nextdoor quickly suspended her account, citing a site policy that prohibits the reposting of conversations outside of Nextdoor without authors’ consent. “[The questions] were shocking and newsworthy, and something people might want to know about if they don’t have access to Nextdoor, a private network,” Barnett said. Of the more than 300 questions, the majority came from North Seattle neighborhoods — where residents have been packing public meetings to share concerns about property-related crime and homelessness — and a few originated from the Central District and Southeast Seattle, where violent crime runs high. Neighborhood-specific data, including the number of users in various parts of the city, is not publicly available, the site says. But annual membership overall in the city has doubled each year for the past three, according to a statement from Nextdoor. 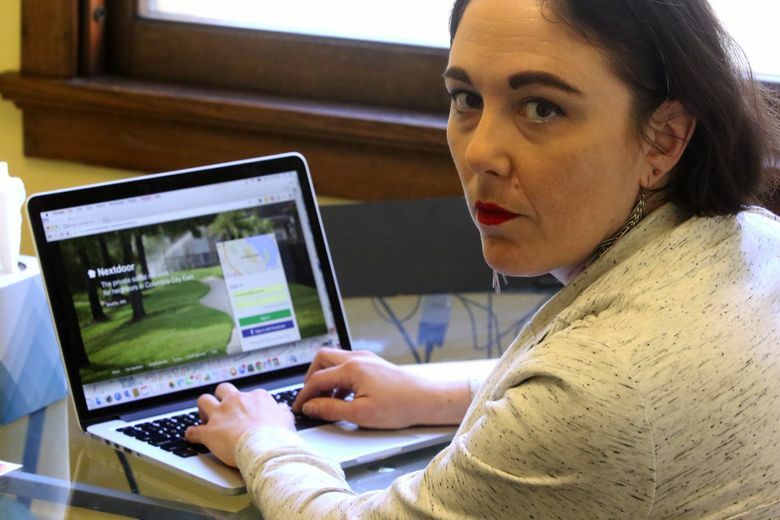 After Nextdoor blocked Barnett from using the site, she criticized the move and continued to question the city’s use of the social network on her blog, describing it as “dominated by homeowners and the whiter, more privileged parts of the city” in a Feb. 18 post. She also argued communication with any government agency is considered public record under Washington law, regardless of Nextdoor’s own policies. In the statement, Nextdoor said it later reinstated her account after reviewing the incident. 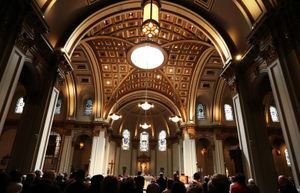 The city does not have a financial or long-term commitment to the site through the partnership, Seattle officials said. After the incident gained local publicity, Murray directed Mattmiller’s team to reconsider how city officials engage on social media to ensure they are not leaving out residents from online discussions. It’s unclear how or to what extent the group will change the city’s social-media policies, which leaders wrote in 2009. The main focus, Mattmiller said, will be to find ways to get over sites’ service “barriers” so they don’t exclude audiences, such as people without addresses who can’t use Nextdoor. They expect to propose changes to the mayor in the upcoming months. For some Seattle Nextdoor users, what once seemed like a new, virtual neighborhood bulletin board has turned into an echo chamber for people agitated about certain city problems. “You’ve got people whipping into this frenzy that doesn’t really happen with face-to-face communication,” Barnett said. In Seattle, where even the mayor has stressed the importance of social media in the city’s conversation over residents’ perception of crime, users’ experience with the site seems to vary greatly by area. For some, it’s simply a place for posts on upcoming garage sales, or lost pets, for example. Capitol Hill resident Ashley Brown said she’s found success making connections here to help her new career in herbal medicine, shortly after moving from New York. 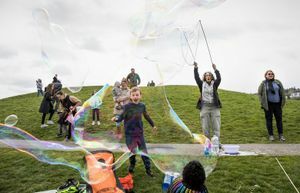 But for others, it’s a busy platform that generates contentious debates on Seattle’s sorest of problems: crime, homelessness and neighborhood density. Wilkins, a Greenwood resident, said he mostly chimes in on housing affordability. But for city officials, the site is just another piece of their social-media routine to share and get information on crime trends, for instance. They say they make the posts’ content available elsewhere, such as on the Seattle Police Department’s blotter. That is crucial, Mattmiller said, especially as city leaders undergo their review.